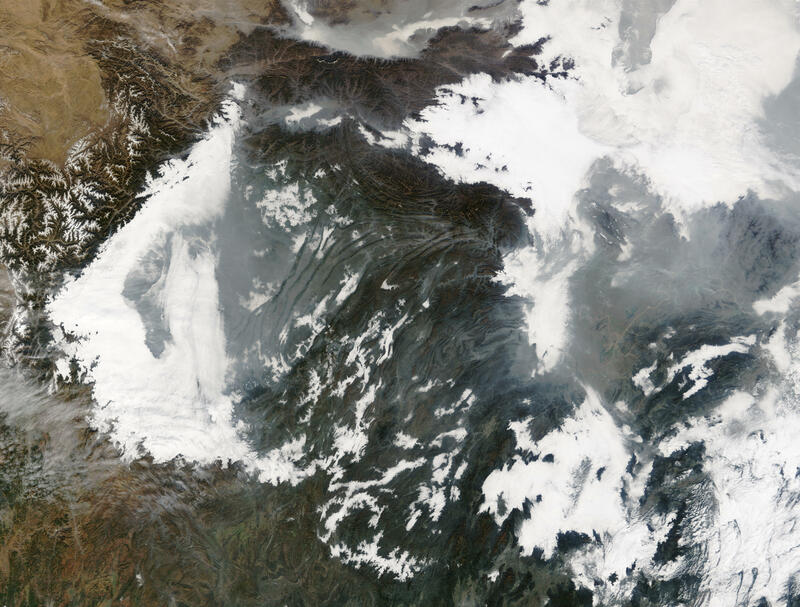 In these images from late 2002 and early 2003, air pollution blankets a large region of central China. The pollution gets packed into valleys between mountain ranges and along rivers, and is so thick that in places it completely obscures the surface from the satellite’s view. These images were acquired by the Moderate Resolution Imaging Spectroradiometer (MODIS) on the Aqua and Terra satellites.